The 1970 Cincinnati Reds [102-60] ran away with the National League East by 14½ games before taking three straight from the Pittsburgh Pirates in the playoffs. Their opponents in the upcoming fall classic were the Baltimore Orioles who were attempting to rebound from a demoralizing World Series loss to the New York Mets the previous season. Baltimore [108-54] was as equally impressive as Cincinnati in 1970, winning the American League by 15 games. The Orioles went on to sweep the Minnesota Twins in the playoffs for the second year in a row. Game One was played at Riverfront Stadium in Cincinnati. It was the first time in the history of the fall classic that a game would be played on artificial turf. Another notable milestone occurred during this series when Emmett Ashford became the first African-American to umpire a World Series game. The Orioles came out on top in the first two tilts by the scores of 4-3 and 6-5. The series then moved to Memorial Stadium in Baltimore where the O’s won Game Three 9-3. It appeared a sweep was imminent but a three-run homer by Lee May off reliever Eddie Watt in the eighth inning of Game Four propelled the visiting Reds to a 6-5 victory. The stage was now set for Game Five at Memorial Stadium. Baltimoreans woke up on the morning of October 15 to a steady downpour that was coming down all over the city. The showers continued intermittently throughout the morning and early afternoon. A sign reading “Make the Reds Blue” hung outside of Memorial Stadium as the rain-soaked fans made their way through the turnstiles into the ballpark. Head groundskeeper Pat Santarone and his crew were able to keep the infield covered but the rest of the field was a different story. The umpires gave the soggy outfield the once over and after considerable deliberation deemed the grounds playable. The Memorial Stadium lights were turned on a few minutes before game time in order to offset the dark storm clouds that were looming overhead. A light drizzle started coming down as the Orioles took the field in the top of the first inning, causing umbrellas to pop up all over the ballpark. 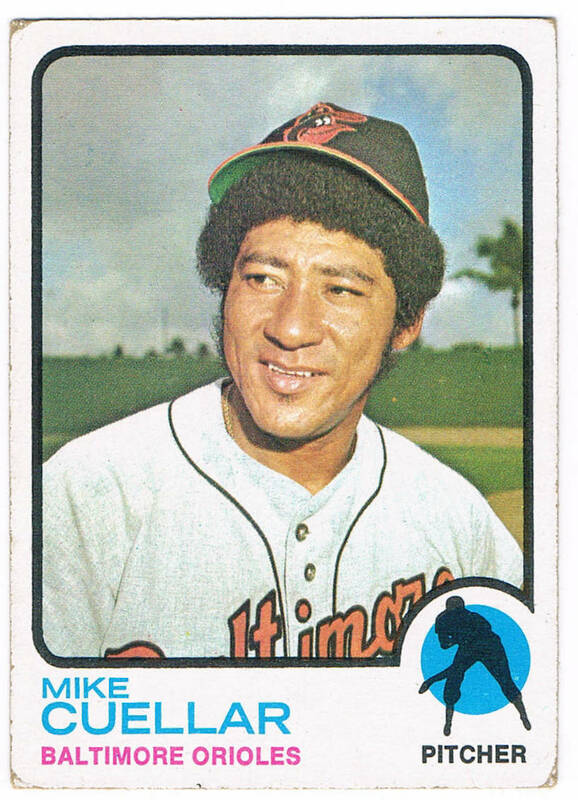 Oriole manager Earl Weaver chose lefty Mike Cuellar [24-8] as his starter while Reds manager Sparky Anderson went with southpaw Jim Merritt [20-12]. Cuellar was hoping to rebound from a poor Game Two performance where he allowed four runs in 2 1/3 innings. After leadoff hitter Bobby Tolan struck out, Pete Rose sliced a fly ball to right that skipped on the wet grass before caroming off Frank Robinson’s glove. Rose, hustling all the way, slid head first into second for a double. After Tony Perez flew out, Johnny Bench stroked a hard shot into right center for an RBI single. Lee May and Hal McRae followed with back-to-back two-baggers that plated a pair of runs. After Granger was touched up for two more runs in the third Anderson brought in Milt Wilcox. The 20-year old right-hander dispatched five straight batters before giving way to Tony Cloninger in the top of the fifth. Cloninger pitched the next two frames allowing one run on a Merv Rettenmund solo shot over the high wall in the right field corner. Ray Washburn replaced Cloninger in the seventh. Washburn tossed one scoreless frame before giving up a run in the bottom of the eighth. With two on and one out Clay Carroll came in for Washburn. Carroll allowed the Orioles ninth run to score before finishing out the inning. In the top of the ninth Johnny Bench led off with a line drive down the third base line. Oriole third baseman Brooks Robinson lunged to his right back-handing the hot liner just inches above the ground in foul territory. Robinson made a number of phenomenal defensive plays like this during the series. Thanks to the national television coverage people from around the country were now getting a glimpse of what Baltimore fans had been witnessing first-hand for years. The next batter Lee May whiffed on a tantalizing curve ball from Cuellar for the second out. Anderson inserted pinch-hitter Pat Corrales for McRae. Corrales proceeded to ground out to Robinson at third, clinching the series for Baltimore. The Oriole victory erased all the bad memories from the previous year’s World Series loss to the Mets. Baltimore amassed 50 hits in five games against the Reds pitching staff, including a record ten home runs and seven doubles. The author, Jimmy Keenan, attended this game with his cousin Bill Stieren and grandfather, former Oriole Jimmy Lyston. My granddad and I had two tickets for the game purchased through the Oldtimers Baseball Association of Maryland. However we needed one more ticket for my cousin. My granddad was able to buy the third ticket at the stadium the day of the game. My cousin Bill (age 11) and myself (age 10) sat in our original seats in the Preferred Reserve section on the third base side. In addition to being a former pro baseball player my granddad was a retired Captain in the Baltimore City Police Department. He had been in command of the Traffic Division, which included all of the motorcycle and mounted police in Baltimore City, from 1960-1964. Knowing nearly every usher and policeman who was working the game he was able to walk throughout the ballpark unimpeded. He told us later that he spent a few innings sitting with his former Oriole and barnstorming teammate Lefty Grove before moving on to chat with other friends. During the game my cousin Bill and I talked about running onto the field when the Orioles won. When the final out was recorded we decided that discretion was the better part of valor. While the hoardes of jubilant Oriole fans were swarming the field my cousin and I made our way through the crowd inside the stadium to link up with our grandfather at our predetermined meeting place. 1 Associated Press,“Reds Orioles Match Set For World Series,” Rome News-Tribune, October 6, 1970,6-7. 3 Lou Hatter, “Mike Junks Screwball After First,” Baltimore Sun, October 16, 1970,C1. 4 Seymour S. Smith, “Lack Of Control Hurts Merritt,” Baltimore Sun, October 16, 1970, C1. 5 Mike Rathet, “Orioles Capture Series By Winning Fifth Game,” Observer- Reporter, October 16, 1970, AI, B6. 6 Lou Hatter,“Mike Junks Screwball After First,” Baltimore Sun, October 16, 1970,C1,C6. 7 Ken Nigro, “Red’s Manager Refuses to Alibi,” Baltimore Sun, October 15. 1970, C1, C6. 8 Bob Maisel,“Morning After,” Baltimore Sun, October 16, 1970, C1,C6.